Taking up strategic operations connected with cattle breeding and milk production. 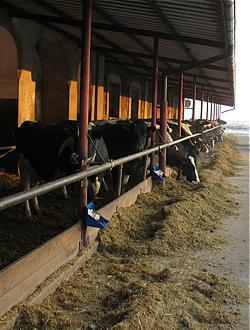 Supporting cattle breeding and milk production. Taking up tasks connected with cattle breeding and milk production with over regional or countrywide character. Undertaking breeding programs and coordinating their realization. Helping members of the organization with their statutory activities. Representing Polish Federation of Cattle Breeders and Dairy Farmers on the international arena. Co-operating with international organizations, concerning with milk recording, artificial insemination and cattle breeding. Close co-operation with domestic AI stations . Taking care of the good reputation of Polish cattle breeders.